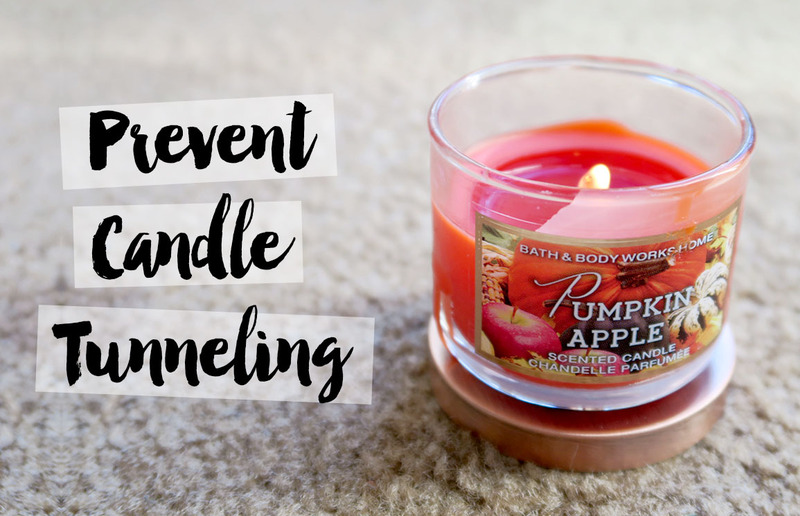 How to Prevent Candle Tunneling! 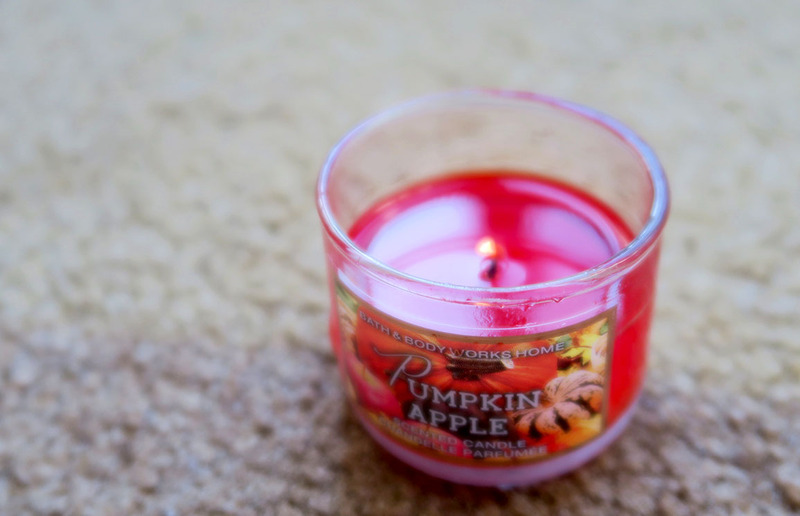 Autumn is essentially synonymous with candle burning season. 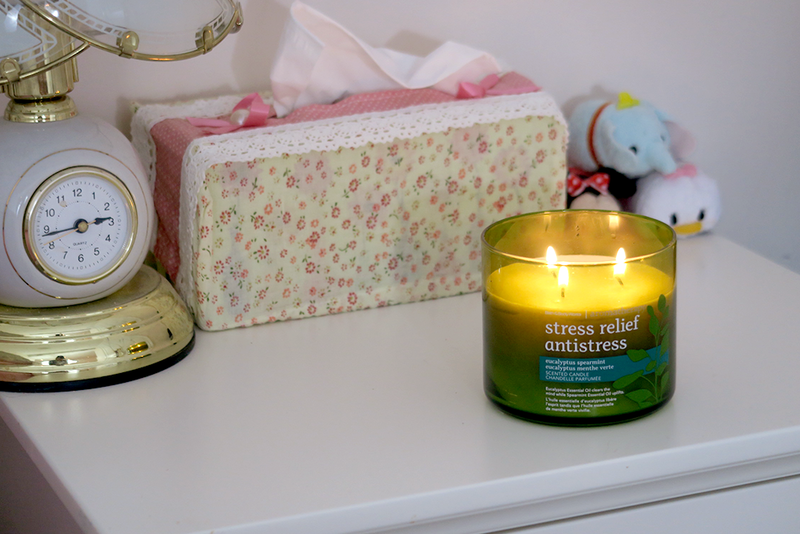 There’s something about getting all cosied up and burning a nice scented candle! Sometimes candles tend to tunnel, especially if it’s a single wick and doesn’t burn as well as others. I had this problem with a few mini candles that I bought from Bath and Body Works – the mini candles have itty-bitty wicks and the wax sides tend to stick to the glass. I figured out a way to prevent the tunneling! 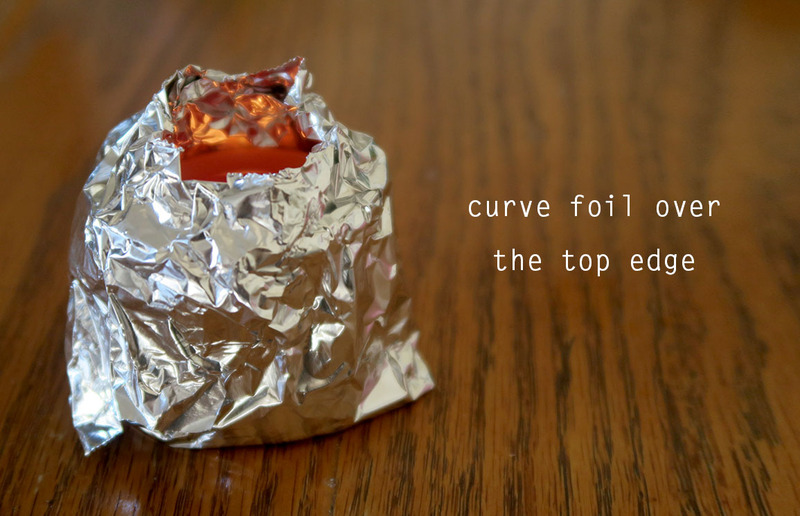 You only need one thing: aluminum foil, or kitchen foil! 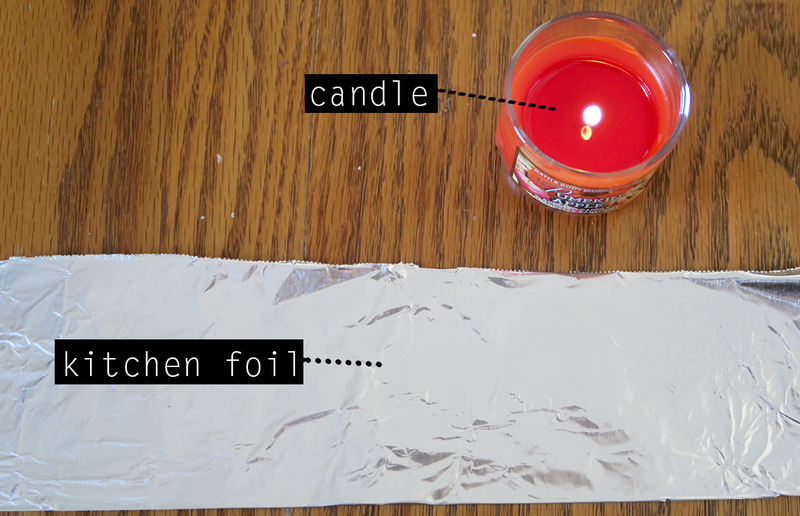 First, cut a strip of foil that is long and wide enough to wrap around your candle. 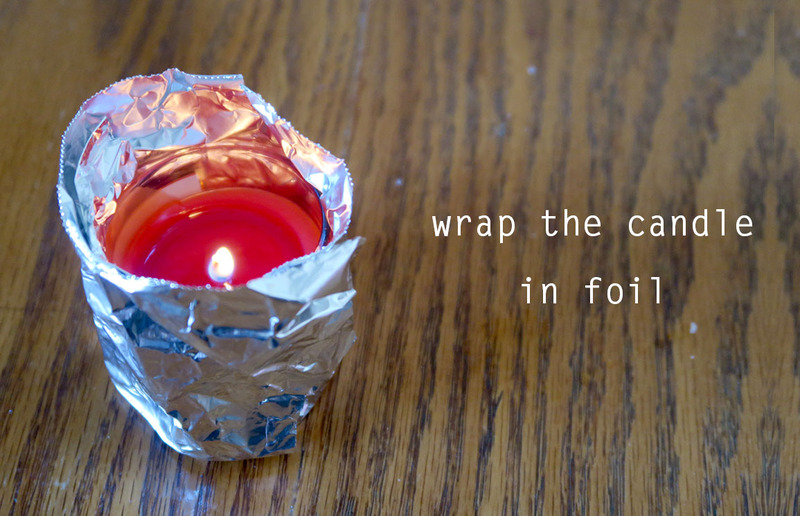 Wrap up the candle with the foil and curve it over the edge to create a dome with a little hole for the flame to poke through. 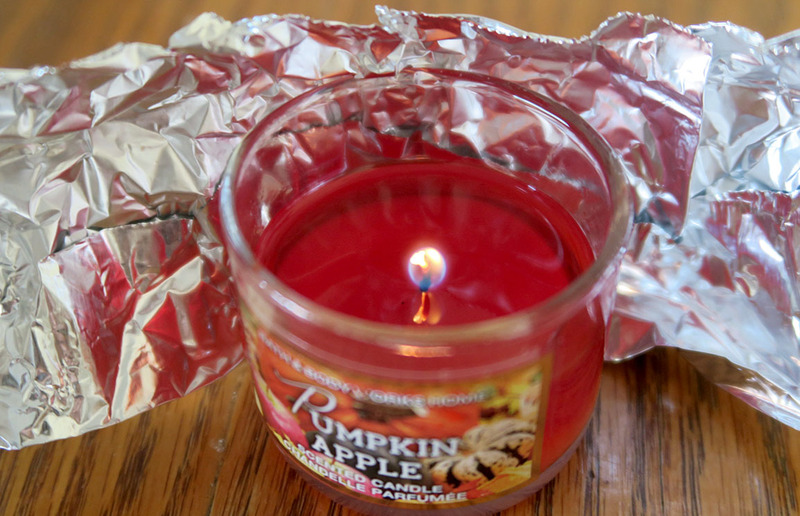 This works as an insulator for the candle – the foil helps to retain heat, which then warms the glass sides. This softens and melts the wax that is stuck along the sides. Let the candle burn like that for a few minutes. I usually leave it on the mini ones for about 5 minutes, but your wait time will depend on how large your container is. Voila! No more tunneling, and you can get the most out of your candles! Do you have any tips/tricks? Make sure to leave them in the comments below! Last week, after a series of important meetings, I decided to pop by Bath and Body Works and pick up some candles! I don’t typically buy candles, or anything from Bath and Body Works for that matter, but they had the 2 three-wick candles for $25 promotion on! I’ve only owned two of their candles before and liked them, so it was a fairly spontaneous #treatyoself purchase. I don’t burn candles very often because my mom hates scents, and I get non-stop complaining if I burn them for too long, haha…. 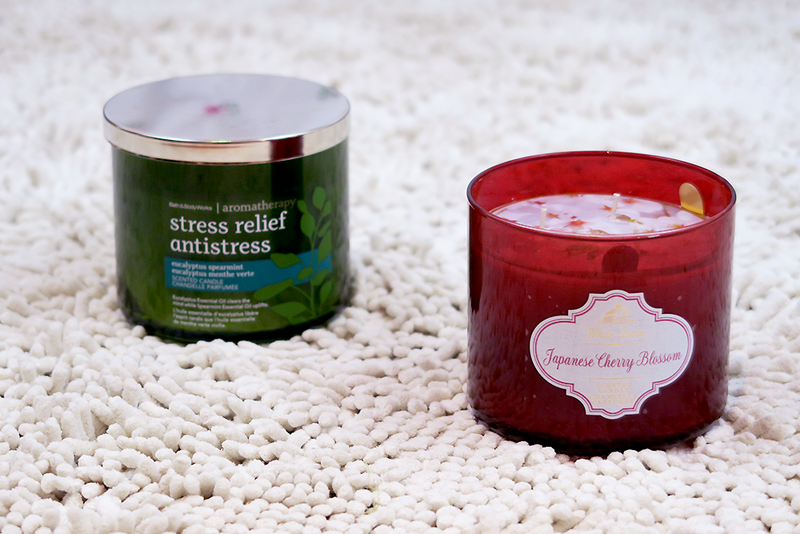 I picked up the Japanese Cherry Blossom scent, and the Stress Relief aromatherapy candle in eucalyptus spearmint. I’m very picky with my scents – I don’t like anything too strong, sweet, or heavy. I’m absolutely in love with these scents though! I’ve tried the Bath and Body Works aromatherapy line before, but only their bubble baths lines. 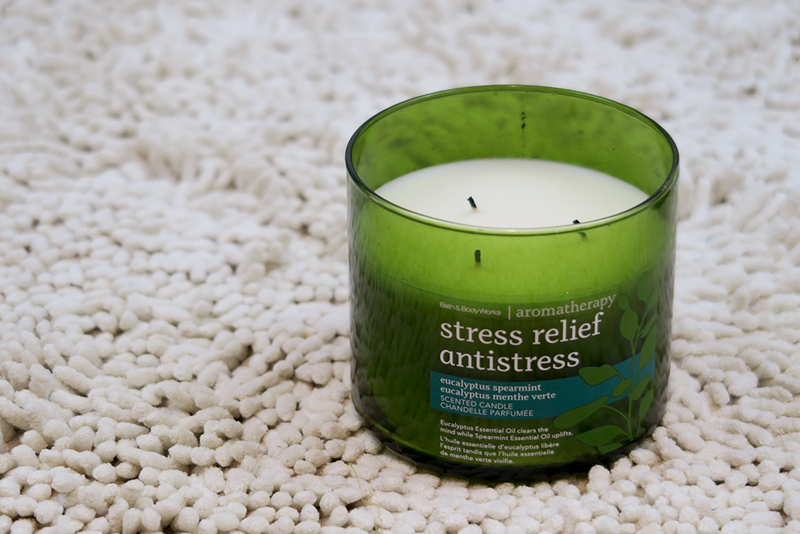 I liked the smell of the anti-stress candle the most. 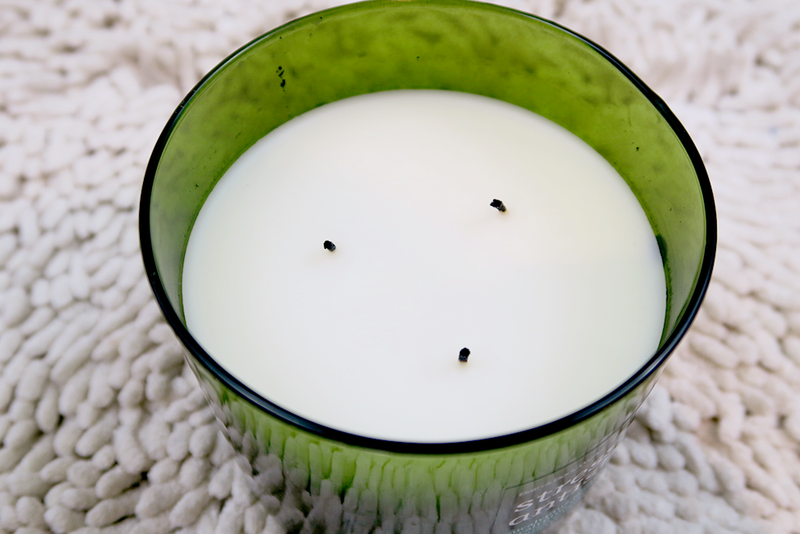 It’s ‘eucalyptus spearmint’ scent, which I feel is a soft mint scent, with warm eucalpytus undertones. I’m not sure if I’m explaining this very well, but it’s a very comforting scent for me! There is also a Eucalyptus Mint scent as part of their White Barn range. It has the same packaging as the Japanese Cherry Blossom candle. (The candle jar is frosted white though.) I was tempted to buy the white jar so I could turn it into a cute brush holder for my makeup brushes, but the green seemed more ‘anti-stress’ to me. 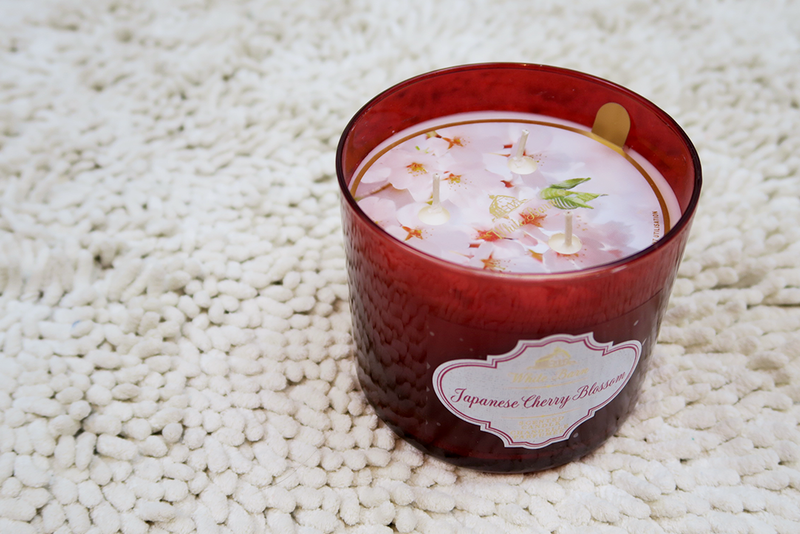 Next is the Japanese Cherry Blossom candle! I haven’t started burning this one yet. I’ve owned this candle in the past. I miss the sparkly pink packaging though, but this will do. It’s a sweet and floral scent that smells like the rest of their cherry blossom range. I always make sure to trim down the wicks after I’ve burned the candle. 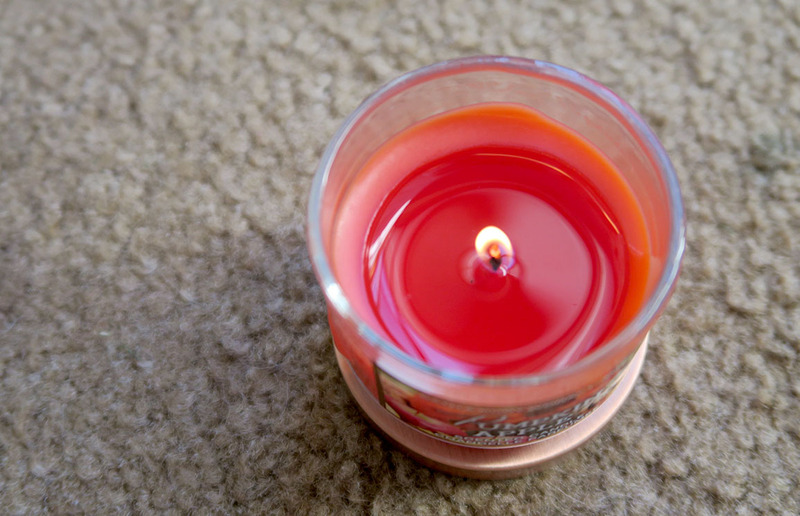 This allows the candle to burn cleaner and last longer! Overall, I love these two scents! I usually let the surface of the candle liquify to prevent tunneling. I can’t really pick a favourite… I’m saving my cherry blossom one for later. Right now, I really need the stress relief. Bath and Body Works has some great promotions coming up, such as their ‘get $10 off a $30 purchase’, and more! Make sure to check for coupons, especially for the candles. One of these candles goes for $25, and the typical offer is 2 for $35, but occasionally you can get a steal of a deal! 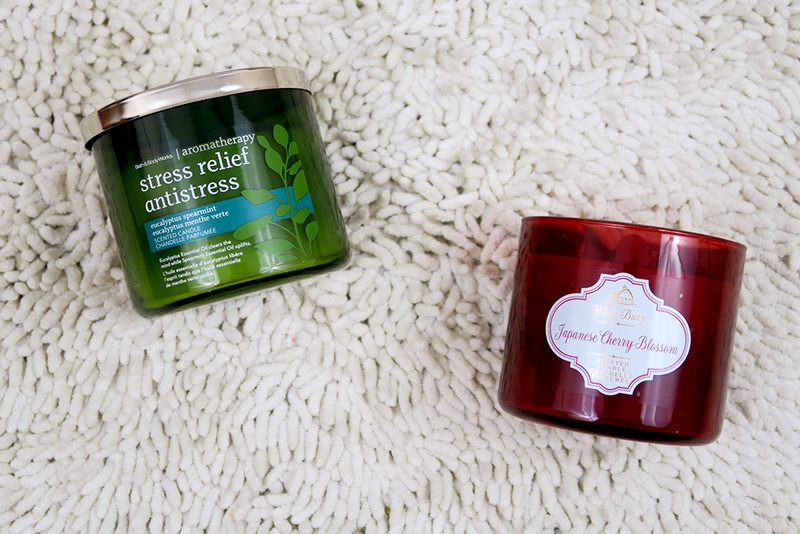 Have you tried any Bath and Body Works candles? What’s your favourite scent?